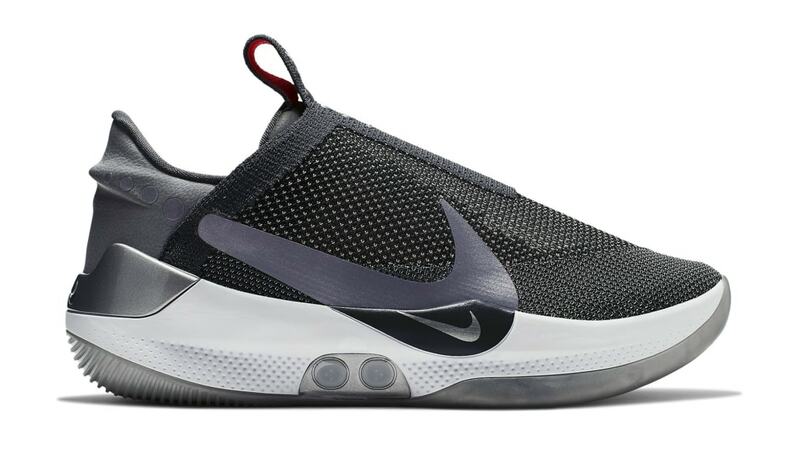 The latest Nike Adapt BB will come dressed with a grey Flyknit upper with a matching leather heel counter, a large metallic silver Swoosh on the lateral side, white midsole and translucent outsole with infrared hits. Release date is Apr. 19, 2019 at a retail price of $350.